It’s time to go down history lane. People in a bubble like our GOP lawmakers do not come across many men accused of sexual criminal behaviors. They are much less likely to be a victim of sexual assault and so it is hard for them to put themselves in the shoes of females harmed in this way. 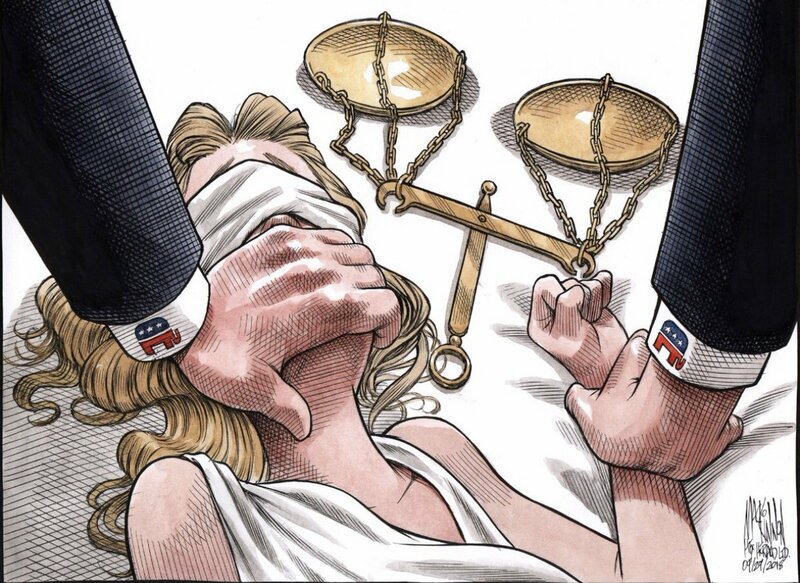 These GOP Grumpy Old Perverts like those members of the US Senate Judiciary Committee think that these sexual predators /perpetrators wear a sign on their heads where you can just tell. But most look really nice, they even are those nice priests who had a high relocation rate. Women who have been abused by men get that these same guys can look great to others. And so they are afraid to tell/ fearing that they will be the ones who will not be believed. Dear GOP lawmakers, please know that “we women” do not want to live in this world anymore, and we will be fighting back. If you wonder who those pesky protesters are, take a second look. Too often, they are the victims who you are choosing to ignore because it is too inconvenient for you to face them, look them in the eyes to see/ feel their anger. We get that Judge Brett Kavanaugh is a Washington DC fixture. Many of you have worked closely with him to where you admire him and are even friendly with him. At one time the Supreme Court Justice Elena Kagan who was Dean of the Harvard Law School probably got know Judge Kavanaugh on a personal level. He probably knows the other conservative Justices like the Chief Justice John G. Roberts Jr. who he assisted through the confirmation process. His insider status has roots in politics dating back to the George W. Bush White House. As a judge, he has written almost 300 opinions for the D.C. Circuit in 12 years. He’s most likely worked with other republican conservatives like the FBI Director Chris Wray and the DOJ Deputy Attorney General Rod Rosenstein. How could this man possibly be the same one who allegedly sexually assaulted Dr. Christine Blasey Ford with a friend while she was in high school? Welcome to the real world outside of your bubble. This scenario happens all the time. Judge Brett Kavanaugh may have been falsely accused, but you don’t know this with absolute certainty as the FBI extended background check on Judge Brett Kavanaugh ordered only after Dr. Ford gave her testimony on 9/27/18 before the US Senate Judiciary Committee, had its scope severely limited by the White House Counsel Don McGahn, who just happens to be another close friend to the judge. “We women” are not fooled by the GOP talking point that Judge Kavanaugh had been cleared by 6 prior background checks. We are well aware that these checks rarely date beyond a 10 year period or by going back to age 18 if the applicants are younger than 28 years old, unless there’s a red flag. That others may have been politically motivated to get Dr. Ford’s story out in the public sphere, does not make her story less true. Reporters and others smell that all was not kosher with the fast tracking of this judge to where investigative journalists and others will be conducting the research you all failed to do. Just pray that they never find out that you knew some of the judge’s history for excessive binge drinking and sexual misadventures that you discounted because you all know Judge Kavanaugh so well. 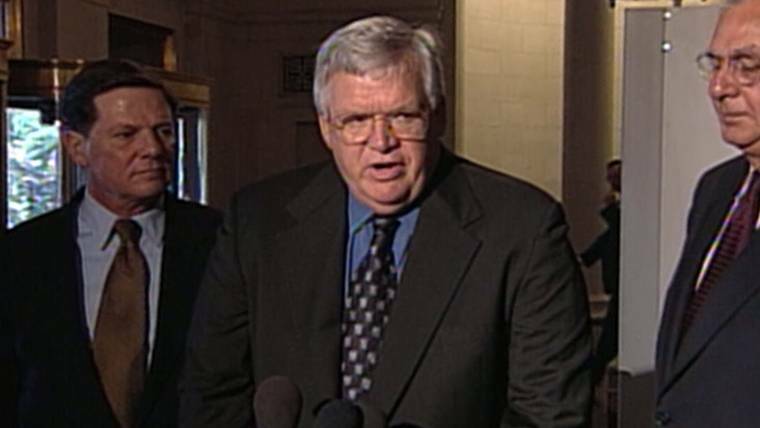 May I remind all of you of the longest running beloved former Speaker of the House of Representatives J. Dennis Hastert. What if a congressional page had come to you all in the 1990s to tell you of about a story of being molested by him. Would you have believed this page? Would you have investigated to where you learned that he was a serial child molester? This win that you are patting yourselves in the back for as this was a hard won victory, may very well come back to haunt you. 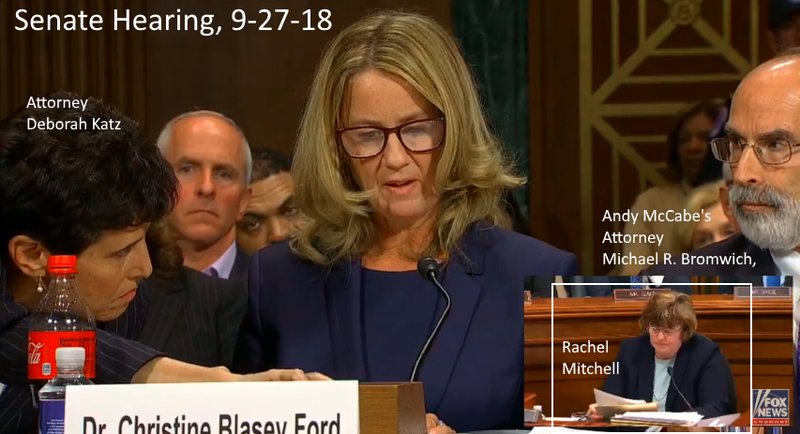 Just remember that it was you who chose not to truly listen to Dr. Ford. P.S. Where is the architectural drawing for Timmy Gaudette’s 1982 home as noted by Judge Kavanaugh on his 1982 calendar for the date of July 1st, the Thursday before the major US holiday of July 4th? 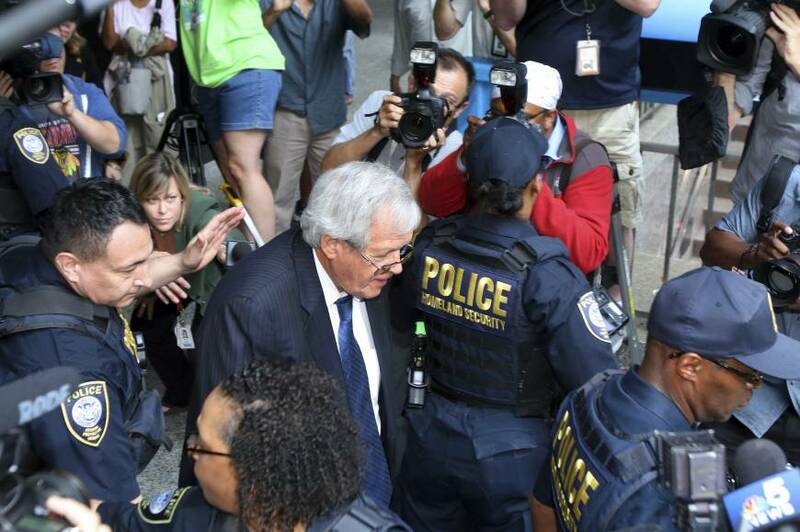 The plea deal does not explicitly say that Mr. Hastert sexually abused Individual A, but at his sentencing last year, the former House speaker admitted for the first time that he sexually abused the teenage wrestlers he coached at Yorkville High School in Yorkville, Ill., where he worked from 1965 to 1981. 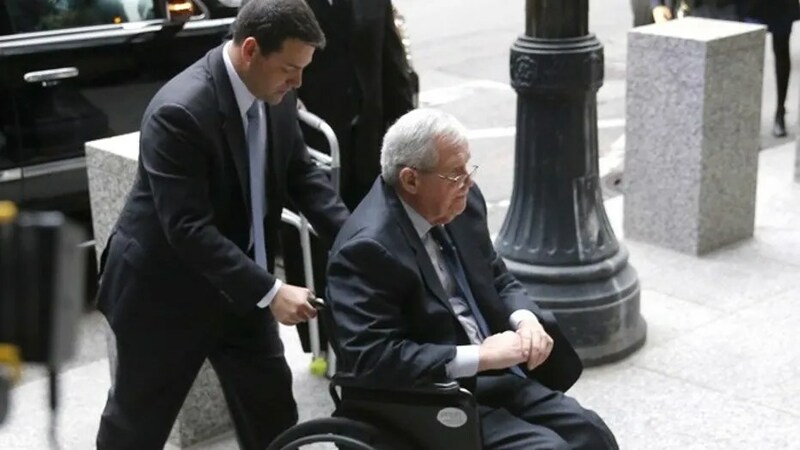 Federal prosecutors have said that Individual A is one of at least four boys, as young as 14, molested by Mr. Hastert decades ago. But Judge Thomas M. Durkin of Federal District Court rebuked him at his sentencing as “a serial child molester” and asked him about at least three other specific victims: Scott Cross, who spoke at the sentencing, a man identified only as “Victim B,” and Stephen Reinboldt, a repeated victim of Mr. Hastert’s who died of AIDS in 1995. This has never been normal. There have been peoples working for years to turn our US government into what it is today. Remember all’s not lost. But it is so important that peoples get out and vote. 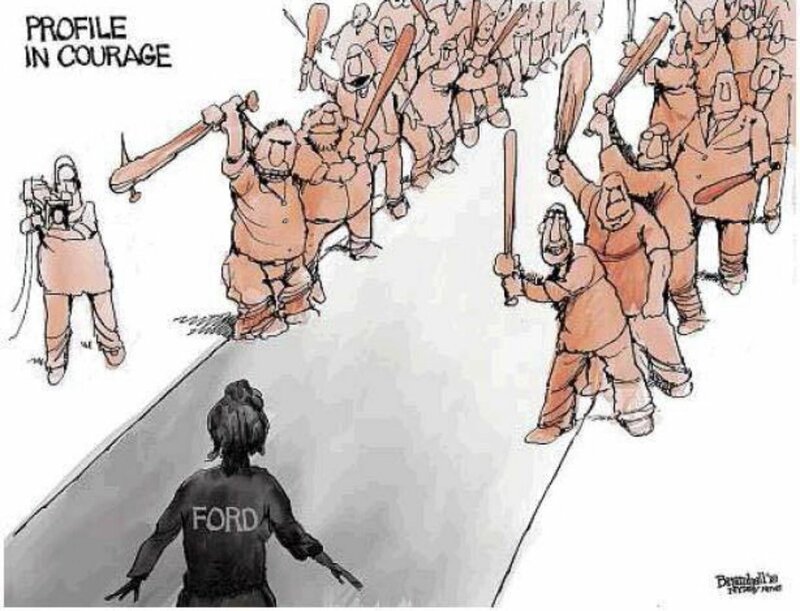 Dr. Ford should be a rallying cry. We women will no longer be treated like potted plants. We will hound those GOP lawmakers. Hear us roar. You will hear us starting November 2018. November must now be the battleground. Show no mercy. It has reached the ‘If you are not with me, you are against me stage’. It need not have been so. But for the odious freak of the voting system Trump. Please believe me when I say the women’s vote numbers will be one for the record books. This is war. It is indeed Gronda. A path has been chosen by the loathsome administration and it is one which leads over stony ground filled with bitter sharp weeds.